We are primarily an advice centre – but we will try to help solve any animal welfare problems you may have and, if unable to assist directly, will endeavour to point you in the right direction. Unfortunately, we do not have an animal home at the RSPCA Bolton branch, but always have dogs, cats, rabbits etc. in nearby Foster Homes or Boarding Kennels, waiting for their forever homes. All our cats and dogs are neutered, vaccinated and microchipped before leaving our care. All our adult cats are blood tested for aids and leukaemia. May get assistance in meeting the cost of emergency veterinary treatment if needed, however we would ask you to contact our Animal Hospital on 0300-1230-711. The branch can also offer low cost neutering scheme of animals belonging to those residing within the branch area and in receipt of one or more of the above benefits. We also offer a clinic here at our Advice Centre on a fortnightly basis, for basic treatments including Flea, Worm, microchipping and vaccinations, for more information regarding this service please contact us direct on 01204-521160. Some kittens and puppies may be too young for vaccination and neutering. In this case, the person adopting the animal is responsible for ensuring that their animal is both neutered and fully vaccinated, and also that annual vaccination ‘boosters’ are given. This also gives the veterinary surgeon the opportunity to give your pet an ‘MOT’ – hopefully spotting any potential health problems in the process. This can save you money in the long run, as well as saving your pet from unnecessary suffering. 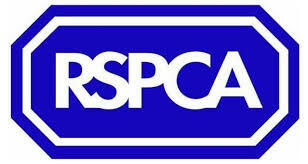 The RSPCA Bolton branch can ONLY accept animals for re-homing from an RSPCA Inspector. These policies are specific to this branch and in no way obviate the policies of the National Society, which this branch fully endorses.